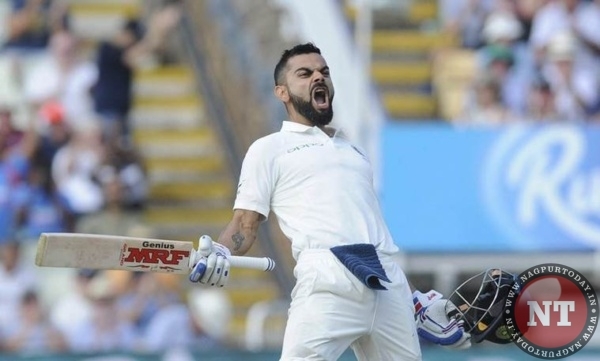 Virat Kohli has been named Men’s Test Cricketer of the Year, Men’s ODI Cricketer of the Year and also won the Sir Garfield Sobers Trophy for ICC Men’s Cricketer of the Year in addition to being captain of the ODI and Test teams of the year. Indian captain Virat Kohli dominated the ICC Awards that were declared on Tuesday. He was elected Men’s Test Cricketer of the Year, Men’s ODI Cricketer of the Year and also won the Sir Garfield Sobers Trophy for ICC Men’s Cricketer of the Year. In addition to these, he was also named captain of the ICC Test and ODI teams of the year for 2018. In the 47 innings that he played across formats in 2018, Kohli scored 2,735 runs at an average of 68.37. He also had 11 centuries and nine fifties to his name in the year and was the highest run scorer in India’s tours of South Africa and England. “It’s a reward for all the hard work that you do throughout the calendar year. Having recognition at the global level from the ICC is something you feel proud of as a cricketer because you understand that there are many players playing the game,” Kohli said in a video that was tweeted by the ICC.